Life enhancing skills e.g. learning the alphabet stays with you; the more words (formulas) you practice the better you will speak and gym skills are no different. With a good teacher, the pole gymnastic motor skills and aerodynamic formula's that you learn will stay with you forever. Being strong and flexible plus having mastered fun and handy gymnastic skills like climbing, hanging, handstands, cartwheels, flipping, rolling, spinning and walkovers, means your body is properly conditioned and ready to try and master anything in life! Entertain your brain while creating a super fit body. Keeping the gym interesting & challenging, constantly improving body sculpt & fitness results is easy with Pole Fitness©. If you are even wondering 'am I actually able to do these skills' then try a class to be pleasantly surprised how easy regular gymnastics activities are with the assistance of a pole! Do you feel you are able to do vertical pole gymnastics? Pole Fitness Studios© is here to support & motivate you throughout your weight loss and strength building journey! Pole Fitness Studios© health tips; News Flash... Flexibility is the key to life. Flexible body = Flexible mind! Flexible Body = More activities therefore more FUN. We all know the more you stretch the easier it becomes however time is of essence so it is crucial to find the most effective workout available. The Pole offers stability assistance and adds to your flex, guaranteed to enhance your flexibility results. The same reason Martial Artists train with swords and Ballerinas train with a ballet bar. Best of all vertical pole gymnastics stretches at the same time as strength builds, wasting no time and maximizing your fitness results. No need to push your stretches simply do them regularly. The Pole Fitness Studios© program allows you to do as many fabulous stretch and strength building exercises as your body and mind is able to comfortably handle . The fantastic thing about a great pole program is that is tailors itself to suit your exact fitness needs and continues to challenge and push your boundaries for life! Pole Gym Tips; Need help with fitness motivation? We can all use some guidance and support to get over life's little hurdles. The amazing fun people that Pole Fitness Studios© attracts, is a fantastic first step. Perking you up with great new friendships and constant ongoing encouragement. Vertical pole gymnastics is a program that relieves your back pain by realigning your posture, as you can imagine this is an extremely grand feeling making everyone happier in this day of technology. This is a pole program that you take at exactly the pace that suits you. Your body and subconscious are given the opportunity to show you your natural boundaries and then your mind goes to work and smashes them! Pole helps by making your body aerodynamic, offering a wonderful lightweight hover and flying effect that definitely feels more like having fun. Leave class feeling accomplished, happy and healthier. Stronger, flexible and more toned plus knowing that you aligned your body and stimulated your senses! Be strong, see you in class. 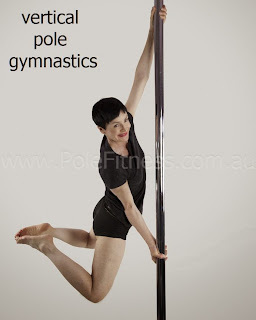 Looking for Mums and Bub/kids gymnastics classes at Pole Fitness Studios(C) Sydney Australia are so much FUN! When designing or doing anything in life, I believe it is crucial to have the community's best interests in mind. I hope you can understand the importance of differentiating the pre-existing pole sports and pole dancing. Both for censorship needs and ensuring we make an informative choice. Pole dancing obviously has 'dance' included and therefore censorship applies being for adults only. And with 6" heels makes it only ideal for recreational use and not for fitness. Chinese Pole has NO dance included. Indian Mallahkamb has NO dance included. 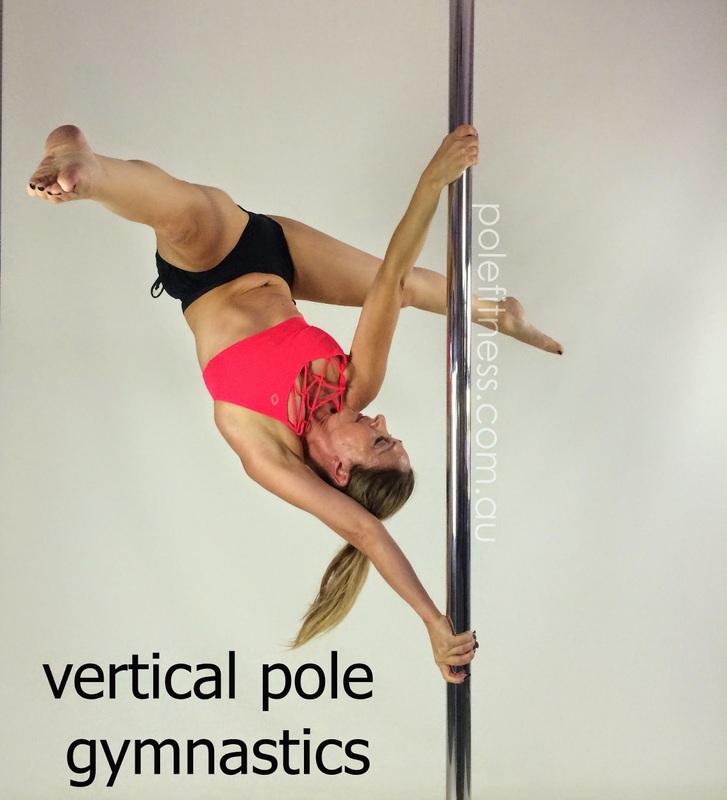 Vertical pole gymnastics has NO dance included. These studios are appropriate for kids and teach them crucial motor skills. Pole gives children a real advantage and a kick start to any other chosen sport or school activity they get involved with. The pole offers stability and is therefore easier and has more range of exercises to choose from. Poles are not in many gymnasiums because the ceiling heights are so high, catering to Horizontal Bars & Trampolining. Give yourself a real advantage and understand the difference by visiting Pole Fitness Studios website. These are gymnastic skills and best of all with a pole, adults and kids are given that extra stability. Pole allows you to achieve more than you ever dreamed possible. Pole Fitness offers the very best conditioning for your body & mind. Making you more confident to try and complete the other great stuff that life has to offer! Get ready for fitness as you know it to never be the same again... Aerodynamically helping you carry your body weight makes you feel amazing both during and after a vertical pole gym workout! Strengthen up and reserve your pole today!